The Street announces its most extensive calendar yet for The Pop-Up. Over the next eight weeks, between April and July 2016, Sweet Lydia’s, papers & presents, and Rancatore’s Ice Cream will debut in the space with distinct offerings ranging from gourmet food to artisan gifts. Since launching The Pop-Up in November 2015, The Street has given some of the most creative entrepreneurs and small businesses in Massachusetts the opportunity to shine. Sweet Lydia’s is open now through Sunday, May 15, 2016. 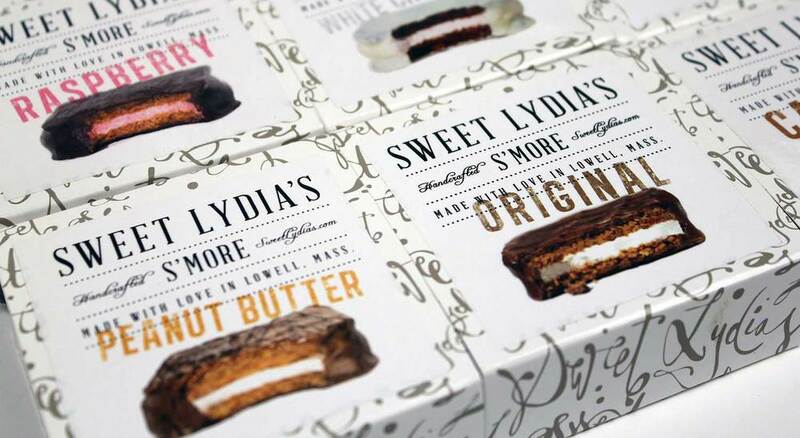 Sweet Lydia’s pop up offers a range of its renowned confections, including a special Mother’s Day Gift Boxwith chocolate salted caramels, champagne marshmallows, toffee, and s’mores. Also on the menu are Gourmet Marshmallows in champagne, passion fruit, and vanilla;S’mores in original, coconut, raspberry, caramel, peanut butter; S’moresels, bite-sized vanilla marshmallows with a cinnamon and graham cracker swirl, andChocolate Salted Caramels in flavors like stout & pretzel. Crumple and Toss will have a presence within Sweet Lydia’s pop-up, carrying its locally made and wonderfully witty cards, including a number of catchy options for Mother’s Day. Perfectly timed for graduation season, papers & presents will pop up with a colorful selection of customizable gifts, party supplies and stationary expertly curated by owner Carolyn McCoy. Formerly a beloved boutique in Wellesley Center, papers & presents has taken its goods on the go with a brand new mobile retail truck, dubbedpenelope, which will also park on property as a complement to The Pop-Up experience.. Looking ahead to summer, Rancatore’s Ice Cream will occupy The Pop-Up space, bringing specialty frappes and ice cream flavors such as Hazelnut Cream, Lemon Lemonsnap, and Tiger Milk and other one-of-a-kind offerings to The Street during the dog days of July. Rancatore’s has been serving made-from-scratch ice cream for 31 years and has three additional creameries in Lexington, Burlington and Newtonville. The Pop-Up at The Street can be found near the newly opened MiniLuxe, and is directly adjacent to Star Market (3 Boylston Street Chestnut Hill, MA). Sweet Lydia’s hours of operation are Monday-Thursday, 11AM-7PM, Friday-Saturday 10AM-8PM and Sunday 10AM-6PM.